If you’re looking for a place to work where you can make a difference in the lives of many people, be a part of something bigger than yourself, join a family of co-workers who care about your success, and grow in your chosen career path, you’ve stumbled upon the right place. Wyoming Medical Center just might offer the exciting career you’re looking for. 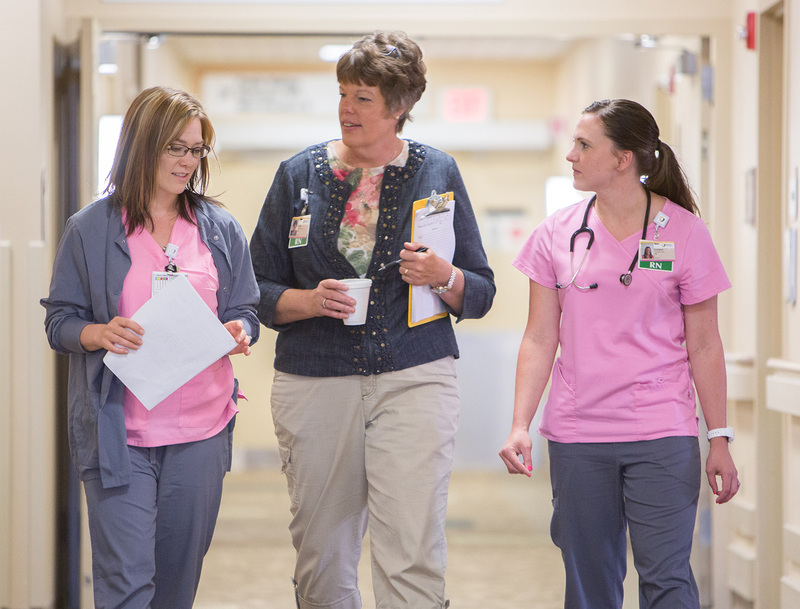 As a major healthcare leader in the state of Wyoming, Wyoming Medical Center is an employer of choice. Experienced, talented, caring and knowledgeable professionals gravitate towards our community and patient-centric mission and our comfortable, at-home atmosphere. In addition, hiring and retaining excellent and qualified employees is one of our most important priorities. So, why work at Wyoming Medical Center? What are you waiting for? There might be an opportunity for employment at WMC that is perfect for you. You’ll never know unless you look. Browse our list of career opportunities to see if becoming a member of the Wyoming Medical Center team is a possibility for you. Wyoming Medical Center posts job openings continually. Wyoming Medical Center encourages all applicants to apply online. If you do not have internet access please call (307) 577-2406. Wyoming Medical Center accepts applications for open positions only. Wyoming Medical Center is committed to the principles of the Equal Employment Opportunity and Workplace Diversity in all employment practices and operating procedures. No person shall be discriminated against in recruitment, selection, transfer, promotions, termination or other conditions of employment because of his or her race, color, religion, gender, sexual orientation, gender identity, national origin, age, disability, Vietnam Era veteran or special disabled veteran status or any other protected status as provided by law. NOTE: Non-hospital employees and outside vendors must submit the proper paperwork before entering our facility. ABM Services is a contract management company serving hospitals and healthcare facilities in the departments of: environmental services, plant operations, patient transportation, valet service and laundry service lines. Check our Employment Portal for openings. Air Methods is the primary support services contractor for our medical flight team. Universal Services of America is one of the largest providers of security services in North America and is recognized as the premier service provider in every market that they serve.